SCCM Technical Preview 1901 was released with a bunch of cool updates. In this blog post I will cover 17 of the updates that I believe will benefit administrators the most in their day-to-day work. As mentioned in the Introduction, the below mentioned updates are not all updates for SCCM TP 1901. 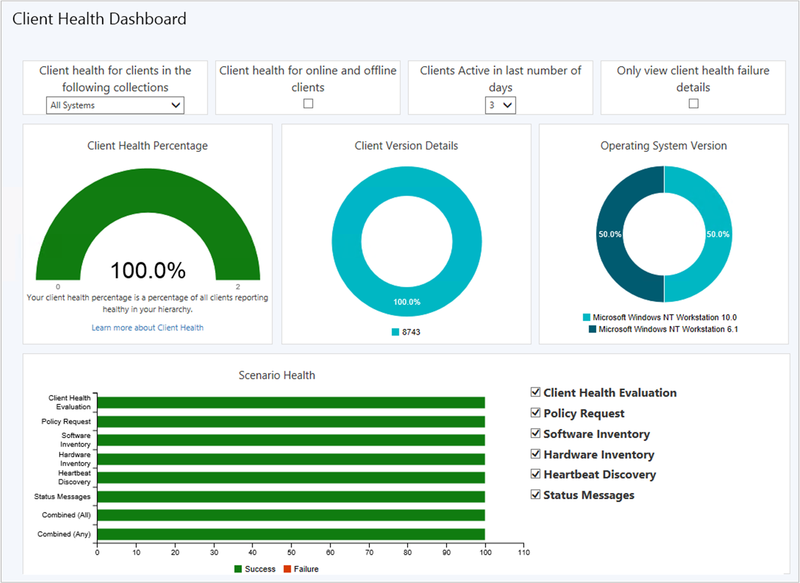 Issues with Client Health is a common reason for why the SCCM environment is not working as expected. Monitoring this has previously been difficult, but now we will have a dashboard for this. From Windows 10 1709 and later, it is possible to increase the setup priority for the Feature Update installation. By default, it will run in low priority, but it is also possible to increase it to Normal to decrease the time of the Feature Update installation. I have not yet tested the impact on the client when raising this. I previously tweeted about this. As many of you might have noticed, the Feature Update may take longer than the default Maximum Run Time of 60 minutes to install and will therefore fail. According to Microsoft recommendation, you can increase this limit to 240 minutes to solve this issue. Made as a production release in SCCM 1802 the Run Powershell script is great. It has however not been possible to configure in what context to run the script in. This should now have been fixed! In the lifecycle board, it should now also be possible to see the status of Microsoft Office 2003-2016. Many customers I’ve been to have issues with the collection structure, mainly because it’s hard to understand and get an overview of. The Collection Evaluation Viewer is likely the most commonly used tool for collection evaluation maintenance. A long awaited feature. When viewing the Devices node, it should now be possible to search for devices by MAC addresses. I used to do this using Reports, but will most likely change my behavior after this. It will now be possible to put a Distribution Point in Maintenance Mode. This might be a good idea during hardware maintenance or software distribution. If you are using Offline Servicing, it should now be possible to remove superseded updates from the image. The main benefit is reduction in image size. With current Windows 10 versions, all editions are included in the install.wim in different indexes. There is no point of having all indexes in your image if you only plan to use the Enterprise edition. Accomplishing this was previously possible, but it required some work. Automatically create and configure virtual machines in Azure for an SCCM Technical Preview environment by leveraging Azure templates. View most recent connections to the console. It is now possible to stop the Cloud Management Gateway if it reaches a specified bandwidth threshold. Clients being stuck in Provisioning Mode is a common issue if the Task Sequence is not completed successfully. It will now be possible to configure the timeout for this. By adding DoNotListenOnDhcpPort, it is now possible to have DHCP and SCCM on the same server. When configuring the Task Sequence variable OSDDoNotLogCommand to True, it will also hide the Run Command Line step in smts.log. This is a long awaited feature. Instead of being forced to Edit the Task Sequence when you just want to have glance, it is now possible to View it. It will now be possible to see which step failed during the Task Sequence. 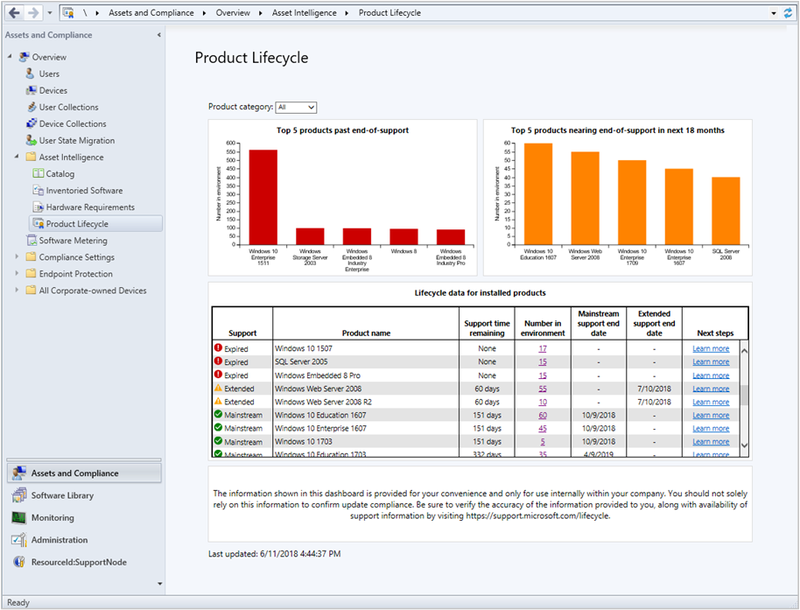 The SCCM Technical Preview 1901 is one of the most feature packed releases in a long time. I really love how the Product Team listens to User Voices and how much is happening with the product.